When a baby is born too early -- before the average 38-40 weeks gestation period -- it puts them at risk for serious health problems and death. According to information from the U.S. Centers For Disease Control (CDC), black babies are 2.4 times more likely than white babies to be born prematurely. Of course, the longer the baby takes the better is their chance for survival. A baby is considered "preterm" when it is born before 37 weeks of pregnancy are completed. A baby born at 24 weeks or less has very little chance of survival. Babies born at 37 weeks or less, if they survive, generally have many health complications. These complications can result in health issues and resulting disabilities that will affect them the rest of their lives. Other factors include a history of previous premature births, pregnancy that involves multiple babies, and a lack of proper medical care during pregnancy. Many premature births can be prevented by making lifestyle changes, such as seeing a physician throughout the pregnancy, avoiding harmful habits like alcohol and drug use and smoking, ad avoiding stress. In addition, eating healthy and maintaining a normal weight level will often prevent high blood pressure, kidney disease and diabetes which are causes for premature birth. Other reasons for the increased risk of premature birth among black babies are continuing to be investigated. 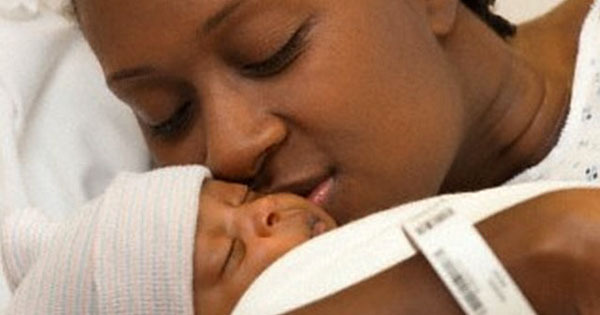 According to the American Pregnancy Association, black women who are at higher risk should be aware of any symptoms of going into labor prematurely and see a doctor immediately. Doctors can often help prevent a premature birth by recommending bed rest until the baby progresses toward a safer gestation period.